While most of us don’t eat Chinese food just for the fortune cookie, when we get at the end of the meal, it is a nice treat, right? While the sayings inside are meant to give you an inspiring message or give you something to look forward to, sometimes they can switch things up and be completely hilarious. 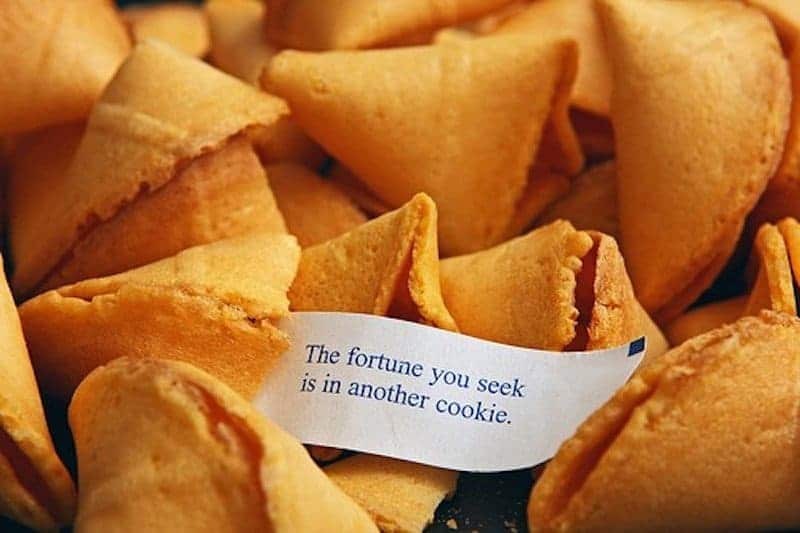 We have found 20 hilarious fortune cookie sayings that will have you cracking up, so check them out below! 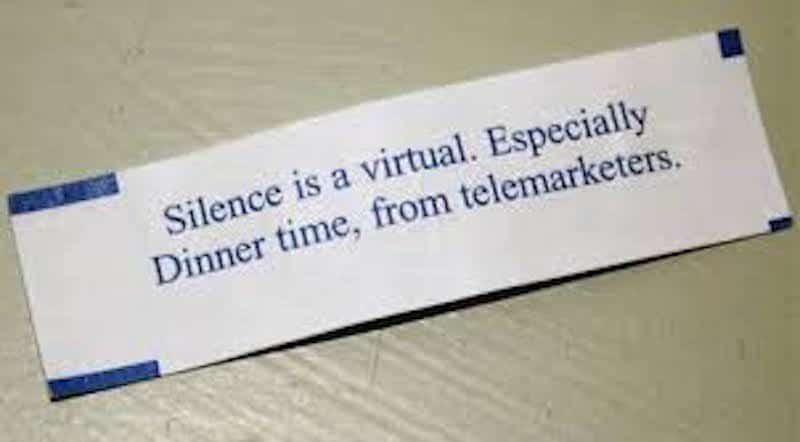 This one is funny, as it is telling you that only fortune cookies know what they are talking about. Those other psychics and fortune tellers are crazy! 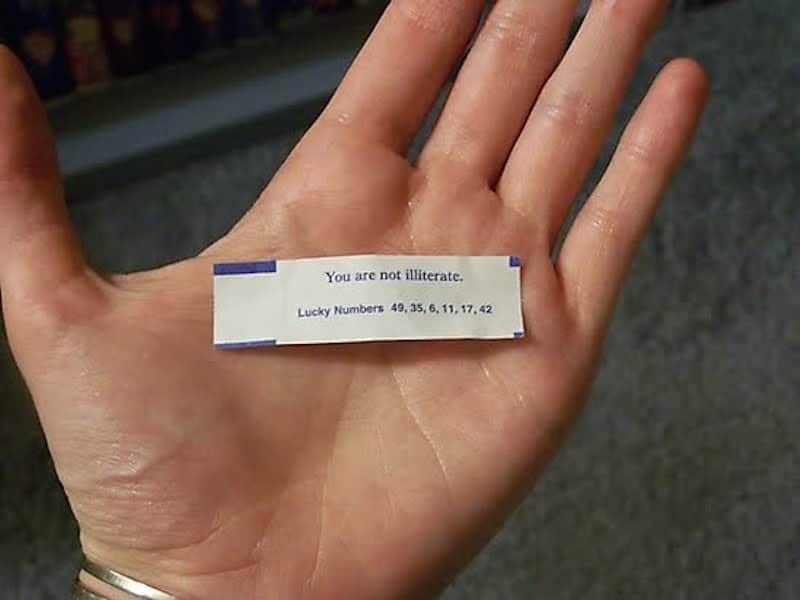 While this is not really a fortune, it is definitely speaking the truth! 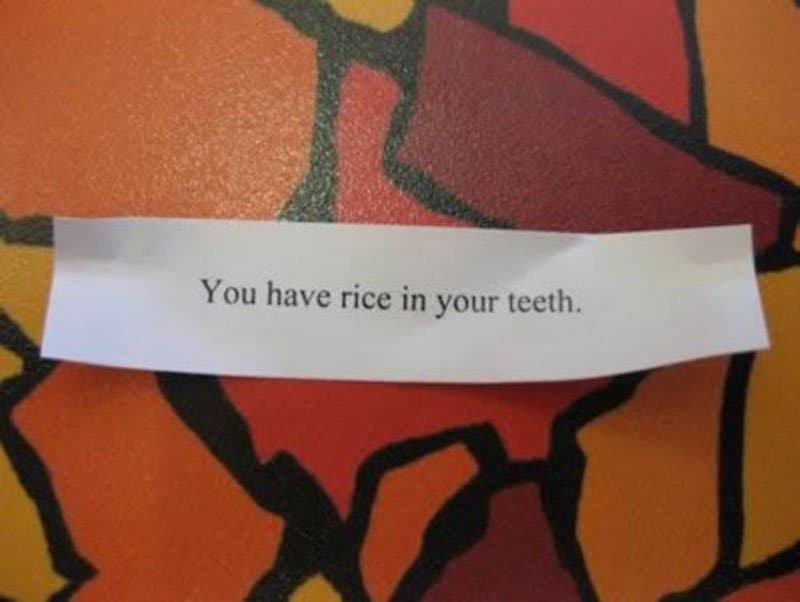 After eating Chinese food, you probably do have rice in your teeth. This could be interpreted a few ways. Maybe they are telling you to run and be more active. Maybe they are telling you to run and not pay the bill. Maybe they are telling you to run because you are about to be attacked by some alien creatures! 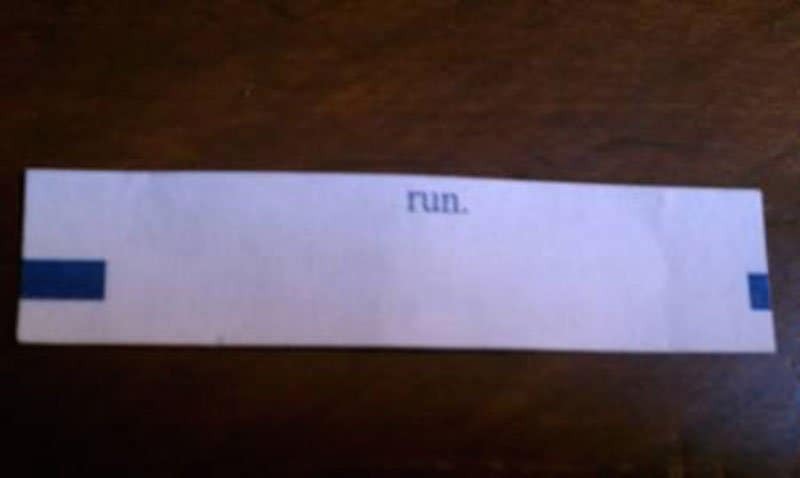 Just a simple message from your fortune cookie, as they are excited to finally get out of that cookie. 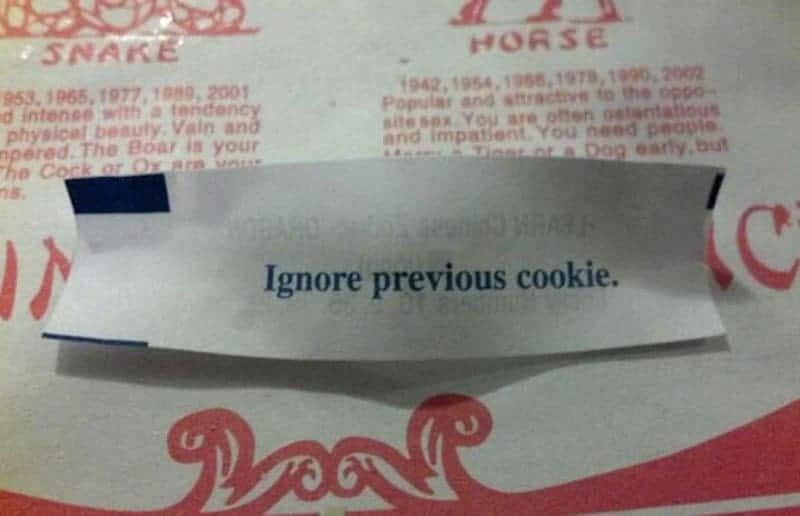 Um, how fresh is the cookie you just ate then? As funny as it is, it speaks the truth! No fortune here, but telling you about marriage and what it means. We all want to crack open the fortune cookie and find some amazing message and think our world is going to change. 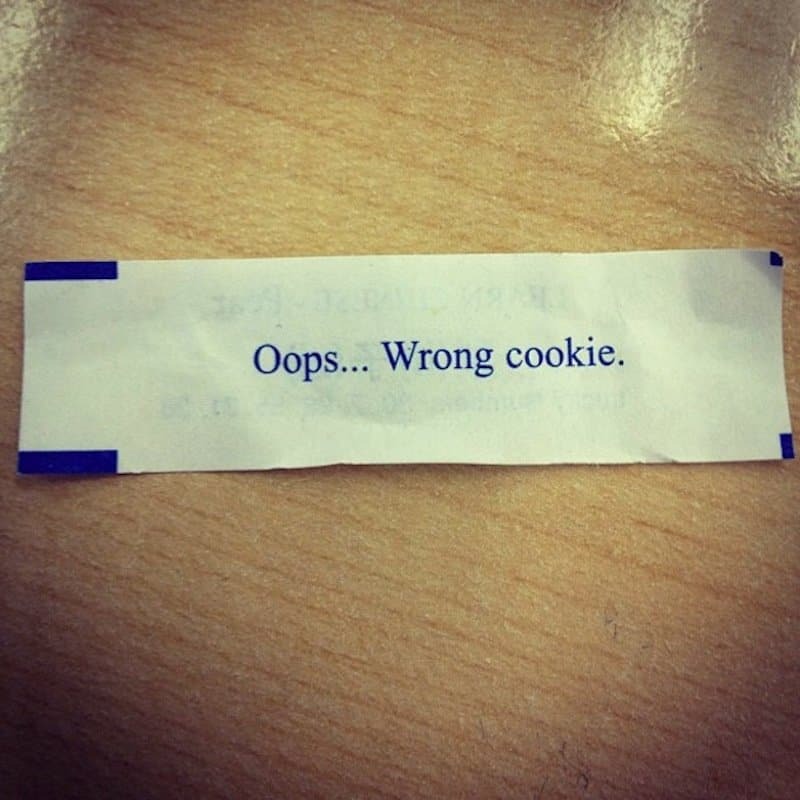 Sometimes we pick the wrong fortune cookie! 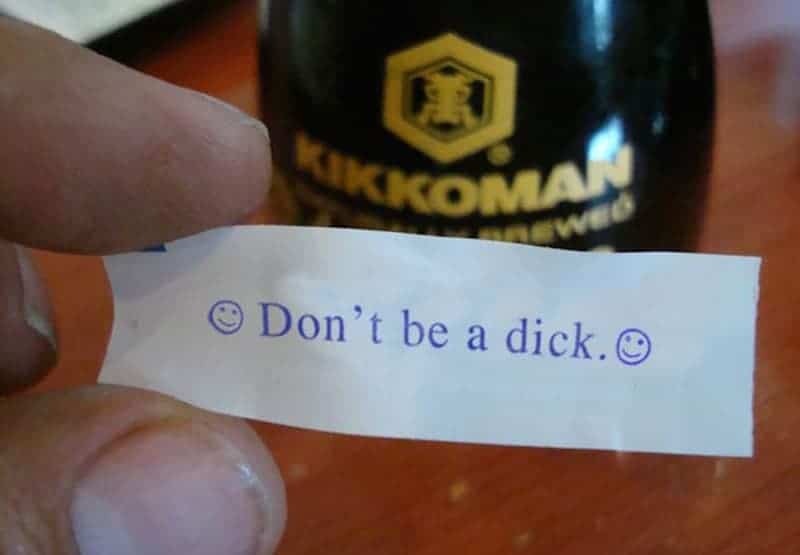 This is some good advice from your fortune cookie, even though it is funny as heck. 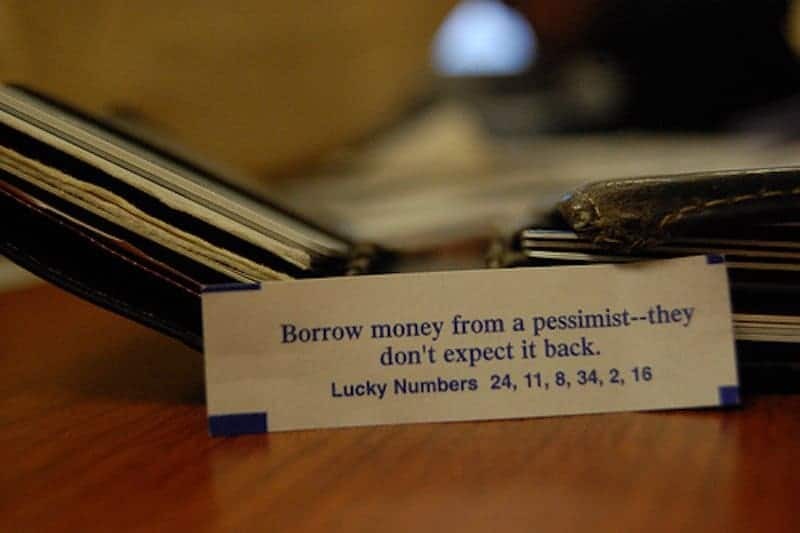 A pessimist thinks they’ll never get their money back, so might as well borrow from them. 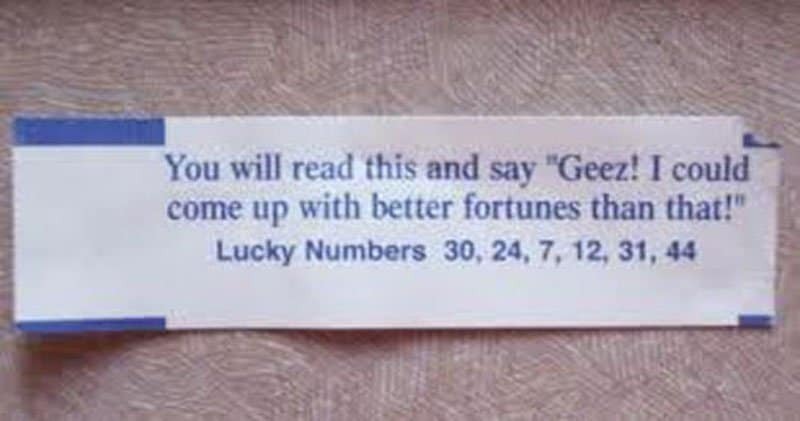 Admit it, you have read your fortune cookie before and thought this same exact thing. 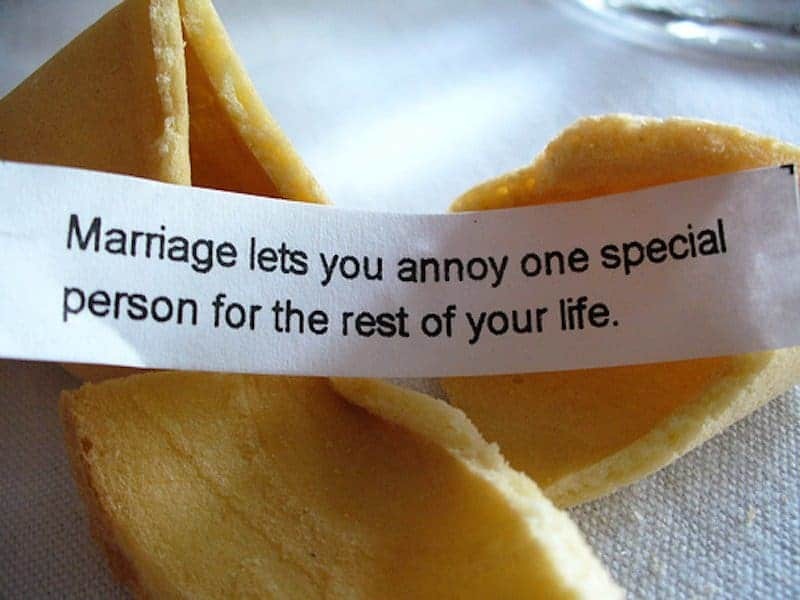 We have all done it, so this fortune cookie is calling us out on it. This one kind of goes with the previous one, but they are telling you straight up to not be a d*ck. This is good advice for a lot of people in the world. 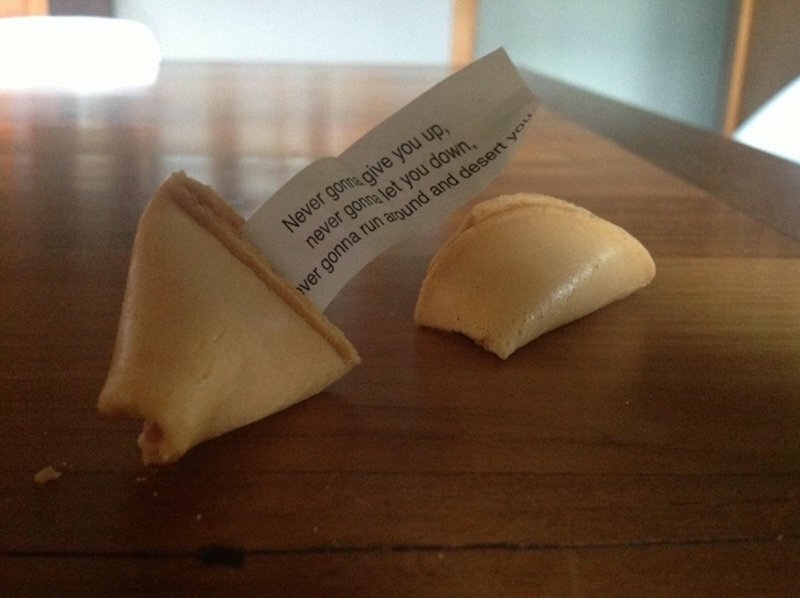 Who wouldn’t like a little Rick Astley when they open up their fortune cookie? While some fortunes can be boring, we would be busting out right at the table singing this song. 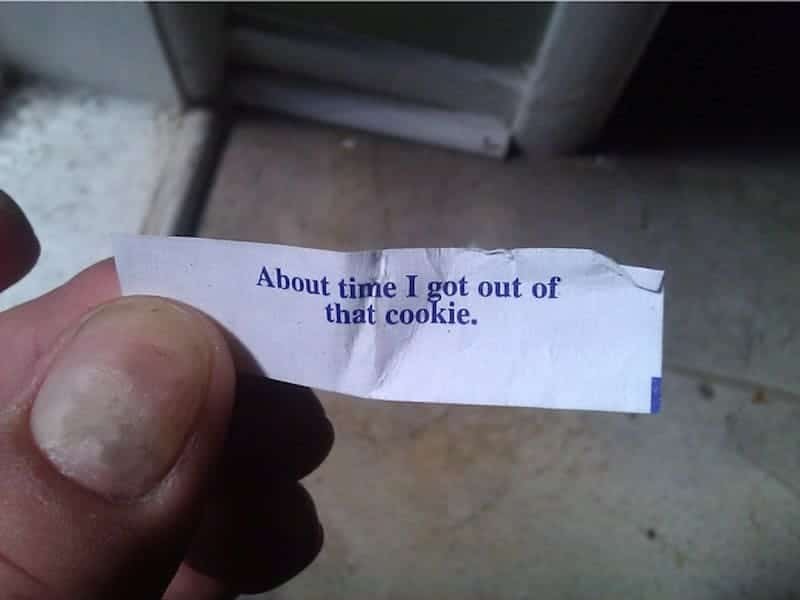 Even fortune cookies can have a sense of humor. They must have gotten tired of coming up with inspirational quotes, so they just went simple and sarcastic with this one. Not only is this one funny, but it also gets you thinking for a quick second. 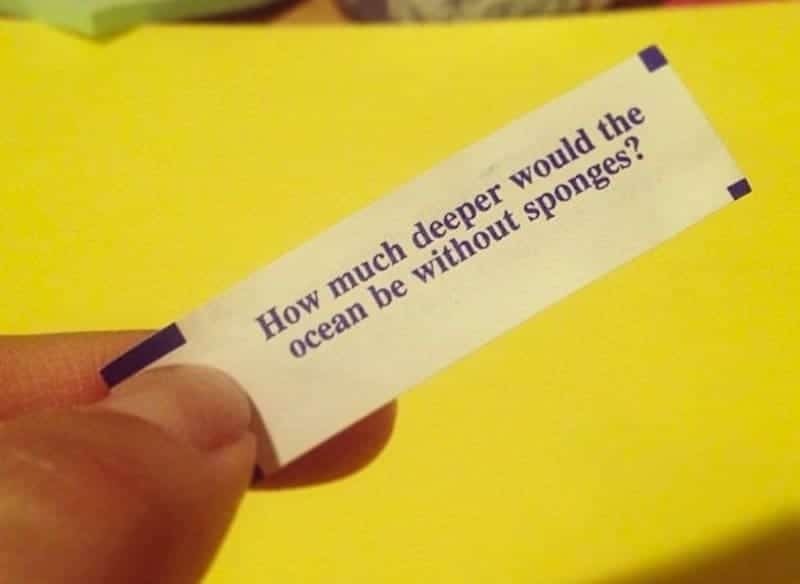 How much deeper would it be? Then you snap out of it and giggle. 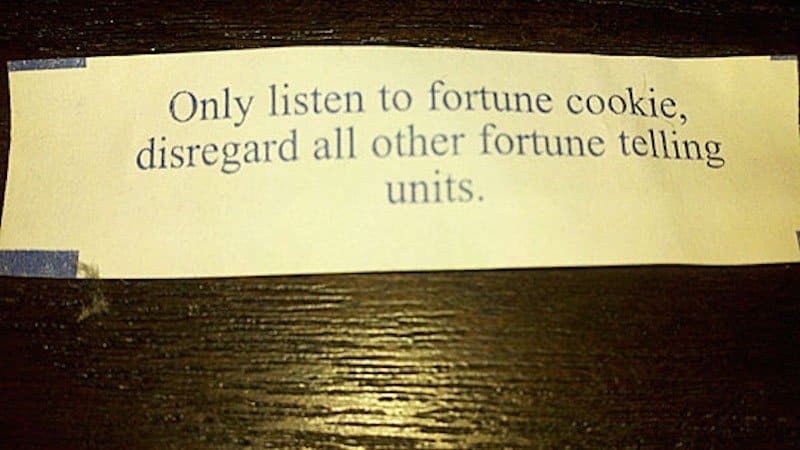 This is true, as we often tend to get the terrible fortune and our friends get the cool ones. 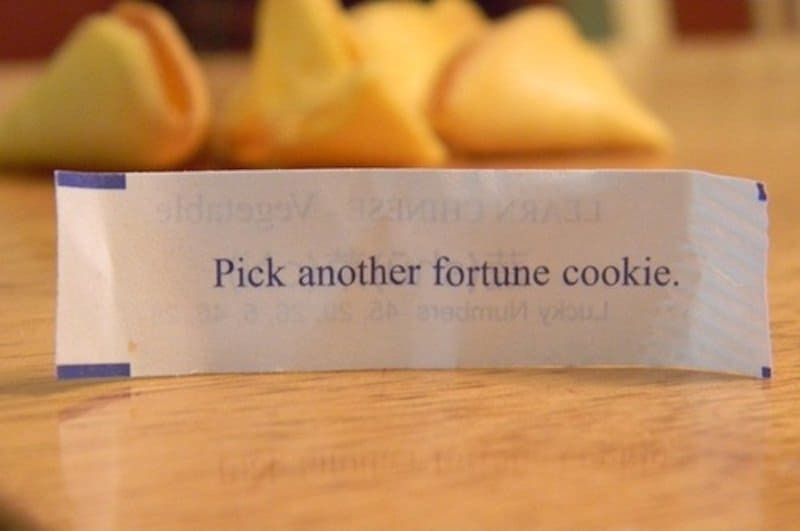 We’d rather get this one than some lame fortune. 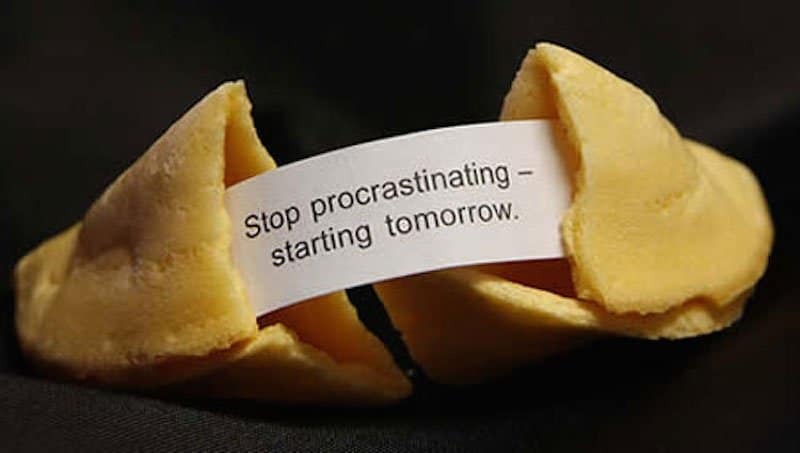 Even the fortune cookie is telling you to put it off for a little while longer. After eating Chinese, no one wants to do anything for a little while anyway, right? 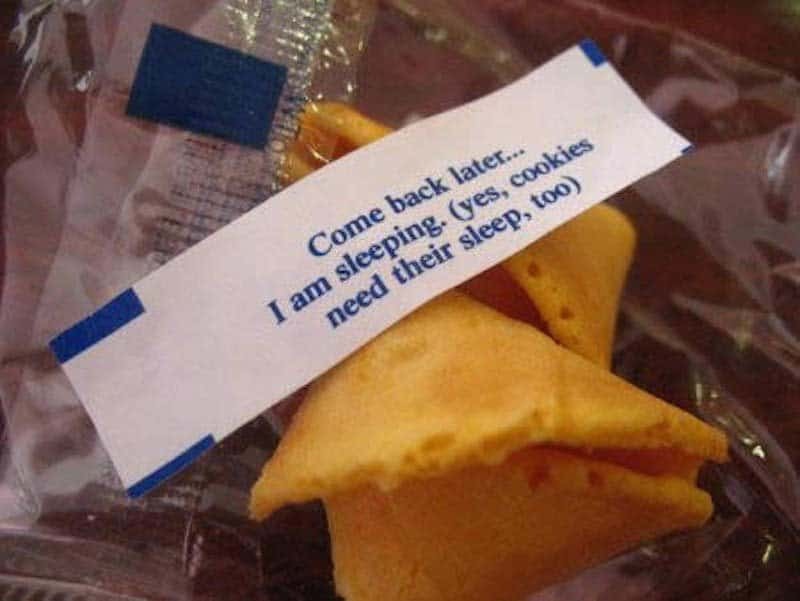 We are definitely taking a nap after eating Chinese, so maybe this cookie is doing the same thing. Or the worker who was typing them up was tired and took a breather. 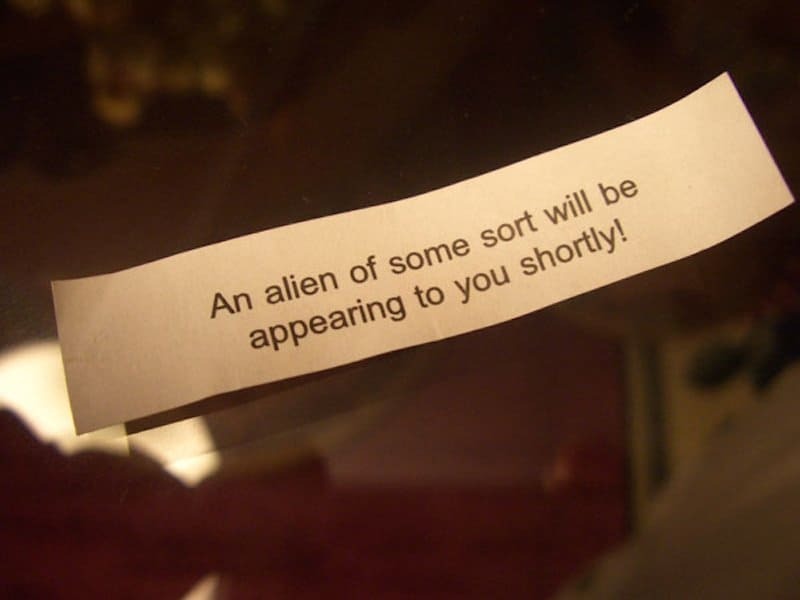 Now we should go back to the cookie that said run, and pick the meaning we need, since you’re now being attacked by aliens — well, it doesn’t say attacked, but what else would the aliens want? It looks like this company needs a spellchecker before production agrees to start making the fortune cookies. However, the actual message is still funny. Oh, you got an amazing message last time in your fortune cookie and you are still waiting for it to happen? It looks like it will never happen now! While we all want a message of hope, this message sums it up perfectly. 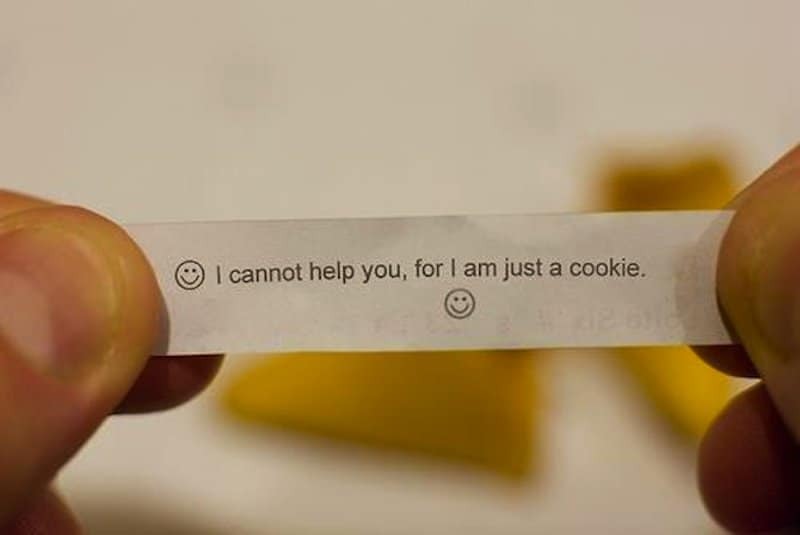 It is just a cookie and it can’t help you! You grabbed the fortune cookie closest to you on the table, as that is supposed to be good luck. You open it up and have this message, so that superstition is wrong, huh?